Halloween bouquet stuffed full of treats! 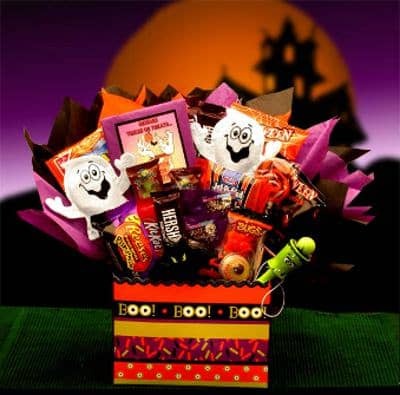 Make their Halloween scary story telling time even more indulgent with this awesome Halloween bouquet stuffed full of treats for every little goblin to enjoy! Includes tissue plumes and festive Halloween bow.